November’s almost here again, and you know what that means. Yep, it’s time for another writing push. For me, though, this year is going to be a bit different. As you know, the goal is supposed to be a novel of 50,000 words or more in a month. Well, most of mine are a lot longer than that. (My shortest full novel, Before I Wake, was about 83,000 words long.) On the other hand, writing 50,000 words in November would make it my least productive month so far this year. So here’s what I’m going to do. The 50,000 word mark is still on the table, but it’s definitely not the only objective. Rather, it’s the first order of business, and my goal with it is to reach it as quickly as possible, while still maintaining the level of quality I expect from myself. The story I’m doing is called The Soulstone Sorcerer, and it’s my first attempt at more “traditional” sword-and-sorcery fiction. It’ll still have weirdness, humor, and a generally lighthearted feel to it, but it’s going to look a lot more…ordinary? I’m not sure of the best word to describe it. Maybe that can wait until I’ve actually written the thing. Anyway, it’s looking in my head like it’ll be about 140-150K words, so at least as long as Nocturne. That’s not getting done in a month, even if I do nothing else with my life in that time. So completing the novel simply isn’t one of my goals. Instead, after I hit the 50K mark, the rest of the month will be the endurance round: max words written. Quality remains paramount, however. I’ll save the stream-of-consciousness verbiage for posts like these. I will continue my tradition of daily (or close enough) posts. These won’t be too detailed, but more like status updates. As usual, those will replace the usual content for the month, and regular posts will resume on December 4, my next scheduled posting date. For now, it’s only on my Patreon. 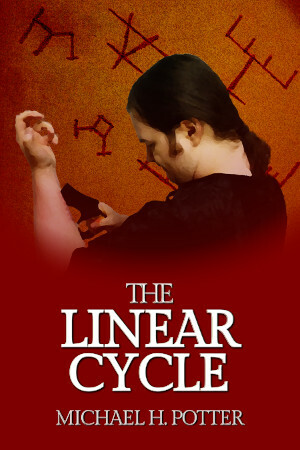 Later on, I’ll look into putting it on the Kindle store or elsewhere. If I do, I’ll write up a longer post describing it. Until then, the description above and the post over on Patreon should suffice. The second half of Chronicles of the Otherworld has begun. You might say it’s all downhill from here, except…well, it’s really not. We haven’t hit the highest notes of this song quite yet. But we have seen a new episode released (The Bonds Between Us), so that’s a good excuse for a new chat about this setting from the man who created it. This time around, I want to take a deeper look at the “local” culture of the Otherworld, the Virissea. Personally, I feel they’re one of my greatest creations. To think, they started off as nothing more than a background element for their language. That one’s not even an exaggeration. As I’ve said numerous times, the initial seed for the Otherworld series came when Stargate Universe was canceled. Nobody was doing good “exploration” sci-fi anymore, or even exploration fantasy. (Monarchies of God is a great series in that vein, by the way.) Now, that’s not to say I thought I could do better, but I knew I could do better than nothing. Since nothing was what I had, how could I lose? More importantly, though, the Otherworld setting started out as a kind of language playground. The details of the native tongue (as well as quite a few others in the setting) predate most other notes by months. And the one I called “Virisai” was first on the list. As languages go, it’s nothing remarkable, and I intended that from the very start. This isn’t an alien language, because these aren’t aliens. That goes hand-in-hand with the “alternate timeline” setup. And yet I didn’t really want a typical Amerind language, because a lot of those are horrendously complex. There’s no way a bunch of college students could become anywhere near fluent in one of those in less than three months. But, I figured, since I had so much “alternative” time to work with, I could plausibly say that this is a whole new language family, as well, one that didn’t follow its brethren in development. In other words, it branched off too early to pick up some of the more convoluted aspects of American indigenous languages. Beyond that, the language is fairly straightforward. It has a few hangups, a few unexpected complexities, and I’ve found ways to work some of those into the narrative. (Mostly, this comes in Jeff’s chapters, as he’s the linguist, though Amy occasionally notes one.) But I do intend it to be a “natural” constructed language. It’s meant to be spoken, written, read. In fact, I do have a translated Babel Text lying around somewhere, and I’ve considered doing other works when I have the free time. The culture of the Virissea, like their language, shares that “same but different” quality. These people may look like your typical Native American, but they are certainly not American. They don’t fit the realities or the stereotypes. They’re there own thing, and most of the culture shock is about dealing with that other thing. For those in the midst of the story, I’ve intentionally designed the culture to be not outrageously dissimilar from anything on Earth. The local Virissea are monotheistic, for instance, though there’s a strong hint of ancestor worship in there, too, and a fairly complex mythology regarding the otherworldly Altea, who supposedly helped to create the world after their own was destroyed in some previous cataclysm. As they looked different from the Virissea, those members of the expedition who look the most outlandish are seen instead as these mythical people: Jeff, Jenn, Ayla, Sara. Lee and Ramón, by contrast, get treated as some kind of prodigal sons, while Damonte is something else entirely. Other parts of the culture likewise follow this trend. These people don’t have human sacrifices, but they do have some strange taboos and rituals. They may not play the Mayan ball game, but they’ve got one of their own. Their science isn’t nearly as advanced as ours, so advanced technology is seen as magic instead (following Clarke’s Third Law), but that’s okay, because they already have a mythos full of magic. They just fit computers and solar panels into that, and go on about their day. That, I think, is my primary goal with this culture. Too often, we assume that modern Americans meeting a more “primitive” people will be treated as either gods or devils because of our technology, attire, beliefs, and general otherness. And to be fair, some members of the expedition get the godly treatment, but they don’t intentionally play to it—with one notable exception. But there can be a third road, where we’re neither demonized nor canonized. Think about it. If you’ve never seen a tablet computer before, but you get told stories every week of a legendary hero who carried around a magic spellbook, it’s not that great a leap to equate the two. Either one is so far beyond you that it’s almost required by Occam’s Razor. But that doesn’t mean the guy carrying that tablet is a god, not when you’re also taught that there’s only one of those. In other words, no matter how different the Virissea are, they’re still people. Humans. They have a civilization, a culture, and they’re desperately trying to fit these newcomers into their world without breaking too much. In other words, exactly what I would want to do if presented with a representative of an advanced alien race. And that makes a good segue into matters of race. For the Otherworld, the subject is a bit tricky. Everyone in it (except for our intrepid heroes) descends from the original inhabitants of the Americas. Yet some of them are…different. I’ll leave the whys for later, because I think the simple idea is enough to get started. I did intend on having multiple human subspecies in the Otherworld from the start. (That is totally not me ripping off The Dagger and the Coin, except when it is.) And I even made them fit the classic fantasy stereotypes. The Lyssea, who show up again in this episode, are a reinterpretation of elves. The Kaldea beating down Ayla’s door fill the “dwarf” role. Even last episode’s Arassea work, as they started off in my head as vaguely orc-like. That’s not to say these races are their fantasy inspirations. Oh, no. But it’s a perfect excuse for some people—particularly a certain character very drawn to fantasy literature—to see them as such. All told, there are ten total races in the Otherworld, if you count the Altea. (And if you don’t count the modern Earthlings of the expedition.) Some of them can interbreed; some of them would rather not. Each has its own culture, language, and outlook, and I use that to set up quite a few interesting plotlines. The Arassea slavery angle, for one, or the Kaldea and their cabal-like protection of their technology. On top of that, there are racial tensions, and even some outright racism. Why? Because the Otherworld is not a utopia. It’s imperfect, just like ours, and part of the story’s development is peeling back those layers to find the imperfections. That’s all for this installment, but the chronicles will keep coming. 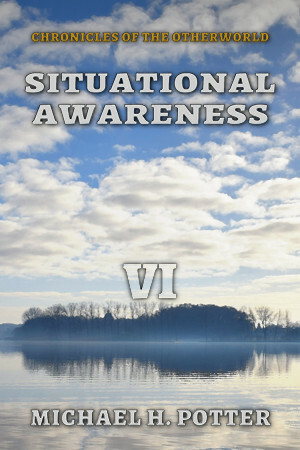 Next up is Situational Awareness, which is my favorite episode of the first season. I loved writing it, I love reading it, and I hope you’ll enjoy it as much as I do. Until then, have fun in either world, and be sure to look at my other stories.